🎟Registration is now open for the 2019 Government UX Summit to be held at the Bureau of Labor Statistics (BLS) in Washington, DC, on May 15, from 9 am - noon. U.S. Government employees and contractors with government email address are eligible to attend, so please use your government email address when registering. As a participant, you’re free to choose the talk that interests you the most on the day of. 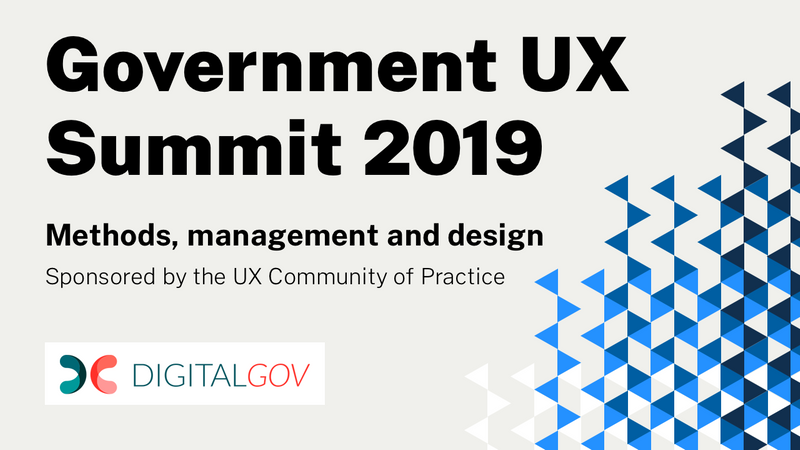 The 2019 Government UX Summit is sponsored by the User Experience Community of Practice (UX CoP) and DigitalGov. The UX CoP is a group of more than 1,100 federal, state, and local U.S. government employees and contractors who are interested in applying UX methods to create efficient, effective, and useful products and systems. We provide training, networking, and support for government UX practitioners. Anyone with an interest in UX and a US government email address is encouraged to join.